Dine in the Dark – A fantastic night! 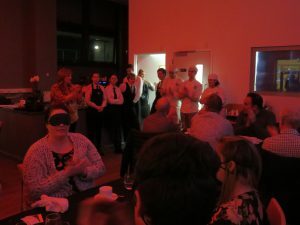 On Wednesday 28th March at 7pm, forty six guests sat down at the Aspire restaurant – Southampton City College to enjoy a mystery 5 course dinner. 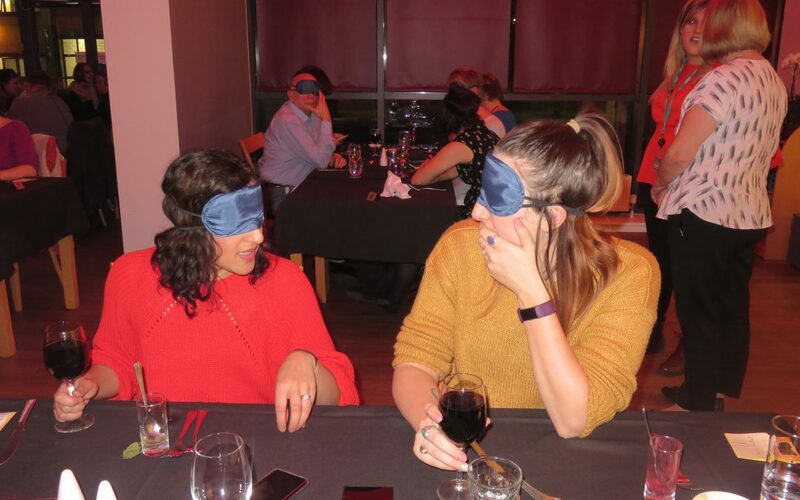 Before entering the restaurant guests were handed out eye masks which they were then required to wear for the rest of the evening. All the diners were then individually guided to their table to sit which proved an interesting introduction to living without sight, as guests clung on tightly to their guides arm taking slow and apprehensive moon walk steps. 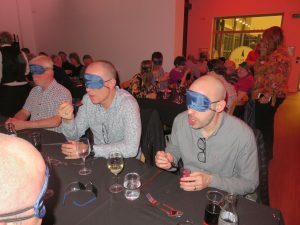 Everything that sighted people take for granted was thrown into question as guests began the task of working out – where their cutlery was, to locating the food on the plate, trying to identify what the food they were tasting was, to attempting to pour a drink. One guest buttered a roll with their desert spoon without realising and later wondering why they didn’t have anything to eat their desert with. Another guest ended up eating a large ball scoop of ice cream in one go initially thinking it was a strawberry and then having brain freeze due to the amount of ice cream consumed! It did get a little messy! 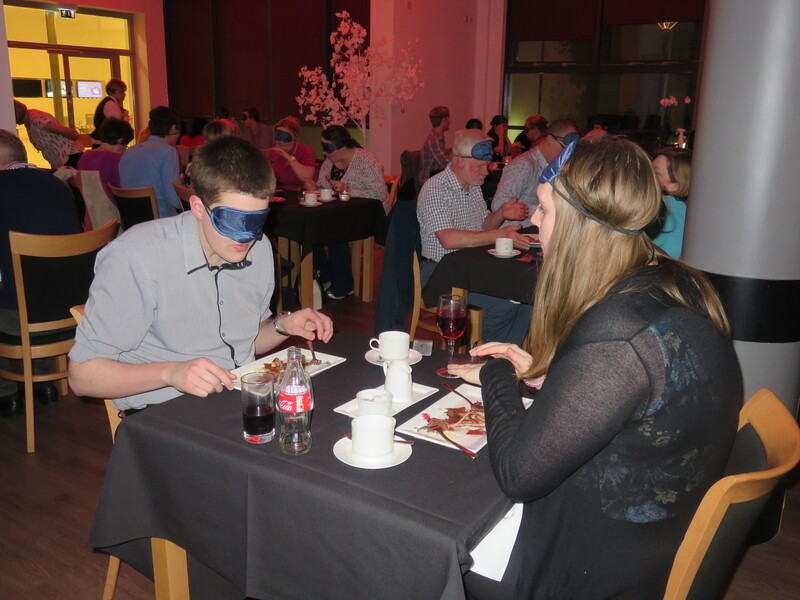 Some guests found it too much and had to take the eye masks off, however the majority of guests did keep them on all evening. The evening was a fantastic success, with a lot of laughter and everyone came away with a real appreciation of what it could be like to live with sight loss. 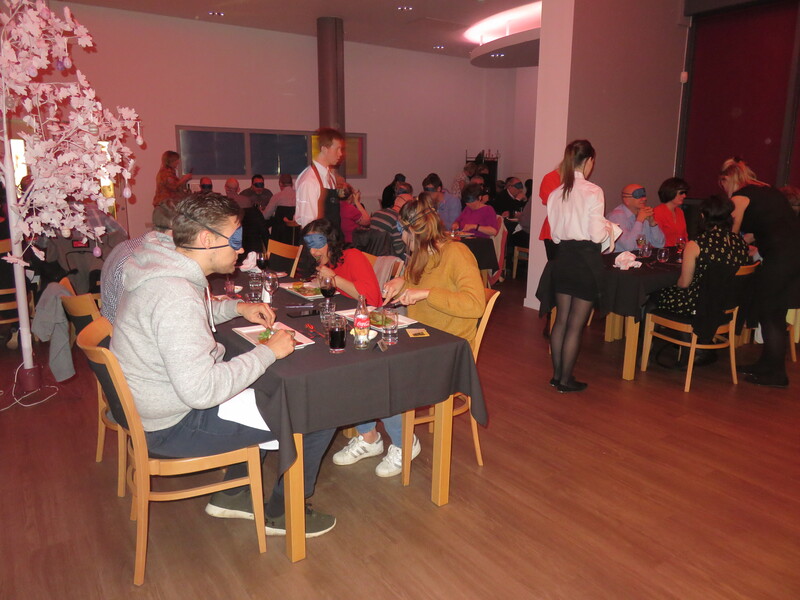 A big thank you to everyone who attended we raised over £500 which will go towards our Sight loss Awareness training in schools across Southampton.